prejudices and fashions of his times, since he never gets to see or hear anything else. There are only a few enlightened people with a lucid mind and style and with good taste within a century. What has been preserved of their work belongs among the most precious possessions of mankind. We owe it to a few writers of antiquity (Plato, Aristotle, etc.) that the people in the Middle Ages could slowly extricate themselves from the superstitions and ignorance that had darkened life for more than half a millennium. Nothing is more needed to overcome the modernist’s snobbishness. 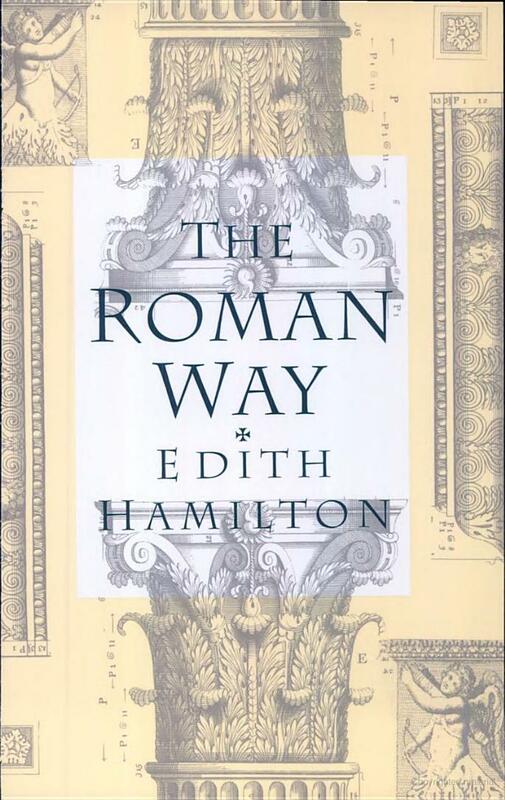 A contemporary author who has made the classical works more accessible to this generation is Edith Hamilton. Both her The Greek Way and The Roman Way can act as primers for those of us not well-versed in the ancient classics. In The Greek Way Hamilton introduces students to the great minds of ancient Greece, shot through with a clear Judeo-Christian perspective. Lavish seminal quotations portray the ancient’s continual pursuit of truth and beauty, exposing the young scholar to an appreciation for the birth of philosophy—the love of wisdom. 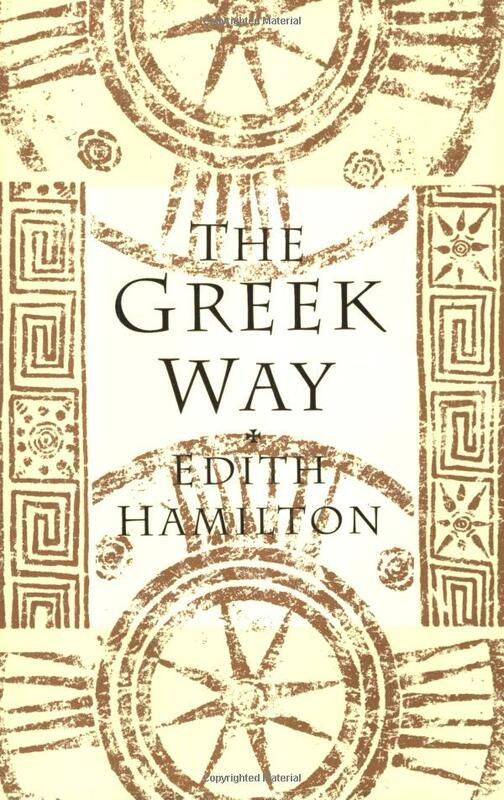 For Hamilton, an understanding of the Greek way is essential to t rue education. She shows deftly how ancient Greece established the Western foundations of art, literature, architecture, sculpture, drama, tragedy, comedy, philosophy, and science, and overarching all is the relentless and intractable pursuit of truth. As Hamilton notes, these Athenians, “being free from masters they used their freedom to think. For the first time in the world the mind was free, free as it hardly is today.” We moderns would do well to sit with Aristotle, Plato, Socrates, Aeschylus, Euripides, and Aristophanes. Their wisdom can inform and enlighten our understanding of God and the transcendent truth to which we ascribe as Christians in a postmodern world. In The Roman Way, students will have the opportunity to see how Greek philosophy carried over to Rome and enabled Rome for a time to establish an empire built upon republican principles of law and civil order. Reading the letters of Cicero is instructive in light of the apathy and indifference that allowed Rome’s noble system of government to fall victim to usurpation and abuse of power. The poetry of Horace, his love of simplicity and gentle virtue, the love poems of Cattallus, and the war diaries of Caesar all form the foundations of modern history and literature. While this cursory overview is hardly reflective of the riches to be mined in studying this period, those that are fortunate enough to discover the treasures here will likely form a lifetime curiosity that will lead them into still greater discoveries. A high school student (and his or her home schooling parent!) given the opportunity to sit with the greatest minds of all time will have an amazing lens through which to understand, judge, and discern, the universal issues of life, politics, and the human heart. I would like to find out more about the literary analysis for High Schoolers studing Ancient History. Thanks – How many hours a week, roughly, do you think a High Schooler should spend to adequately cover your Ancient material? I generally recommend 2 hours per day minimum. This is because the students are doing not only history, but literature (English) as well. Sometimes it will require more than that, and sometimes slightly less, but generally students should count on the 2 hours. Pertaining to literary analysis, the new ebooks a colleague and I are currently working on will provide the tools for students to understand and apply literary analysis that will include the basic components of literature as well as the understanding of the heroic quest, archetypes, apotheosis, catharsis, tragic flaw and so forth. These tools will enable students to be close readers, able to see the deeper meanings in literature and thereby appreciate and understand literature’s transcendent value. I just read your The Old Schoolhouse (summer 2010 edition) and wanted to thank you for your ideas both there and here. I am using your Ancient Hx with three of my kids and wanted to add a more varied literature experience for my 10th grader. She and I will be busy reading this winter thanks to your ideas! Question: When do you anticipate finishing the ebook regarding teaching literature analysis? Thanks for your comment. My colleague and I are wrapping up the notes for the Epic of Gilgamesh and anticipate having them available in the next 2 weeks. I will post when that is available and will continue to post as we finish the other components. We will be offering notes for both the Iliad, the Odyssey, 2-3 major Greek plays like Oedipus Rex, and Prometheus Bound etc. So stay tuned! Thanks for your interest. Cheers! I have just begun to incorporate your High School Medieval study guide into the history we are doing this year. In the Marco Polo section you have been so kind as to include the page numbers of selected readings. There have no doubt been many editions and my page numbers do not match up. Do you have the chapters the pages are included in as they should be the same across all editions? So sorry I am abroad right now and can’t access that info for you. If you could call the toll free number at Beautiful Feet Books and tell Melissa I’m sure she will do her best to help you. Thanks for writing and glad you’re enjoying the course! Cheers.